Denise swimming at Playa Madama. 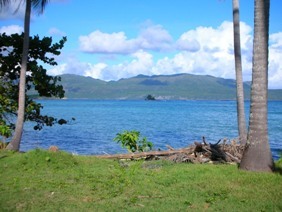 Looking to the Las Galeras Beach. 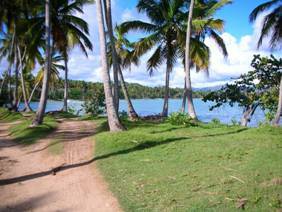 Playita, a short walk from Las Galeras. 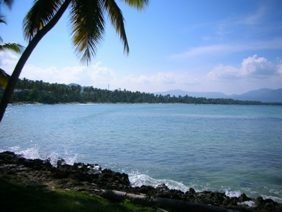 The Bay of Las Galeras. 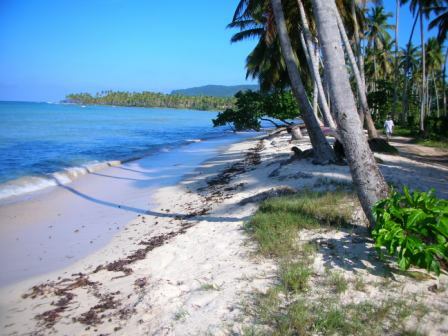 A beautiful beach a short walk from town, La Playita. 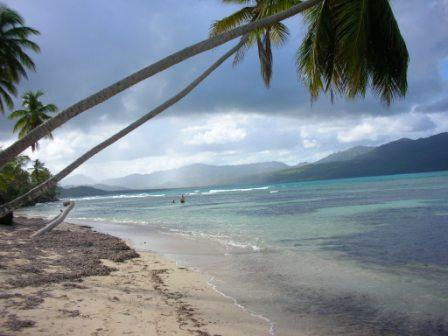 The magnificent beach at Playa Rincon is off in the distance. This is the walk we might take for, say, a loaf of bread–or a spirited game of Petanque on the playa. 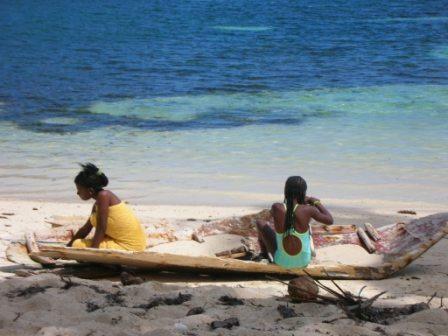 Yoshira and Yomira, the daughters of a friend, at Playa Madama.